Ah, Hollywood… home to sun, sand, and celebrities. And let’s not forget the famous Hollywood sign! Here’s what you might not know about this famous American landmark. The sign was built in 1923 and originally read, “Hollywoodland.” When the Great Depression arrived, the developers of the sign went bankrupt and all maintenance of the sign stopped. Every single one of the 4,000 bulbs was stolen and the letters began to deteriorate because of weather and vandalism. In 1949, the Chamber of Commerce refurbished the sign and repaired the rest. Originally, the sign was only intended to stay up for 18 months, but once Hollywood became a hotspot for American film, the sign remained. It was refurbished by the L.A. Parks Department and became the iconic symbol we know today. 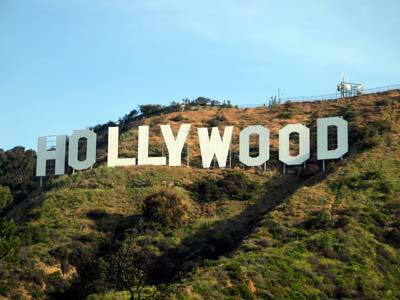 In 1923, the total cost of construction for the Hollywood sign was $21,000…about $265,000 today. The sign was last refurbished in December 2012. Each letter has been auctioned and sold for $28,000 apiece. Stars like Hugh Hefner and Gene Simmons are among the buyers.